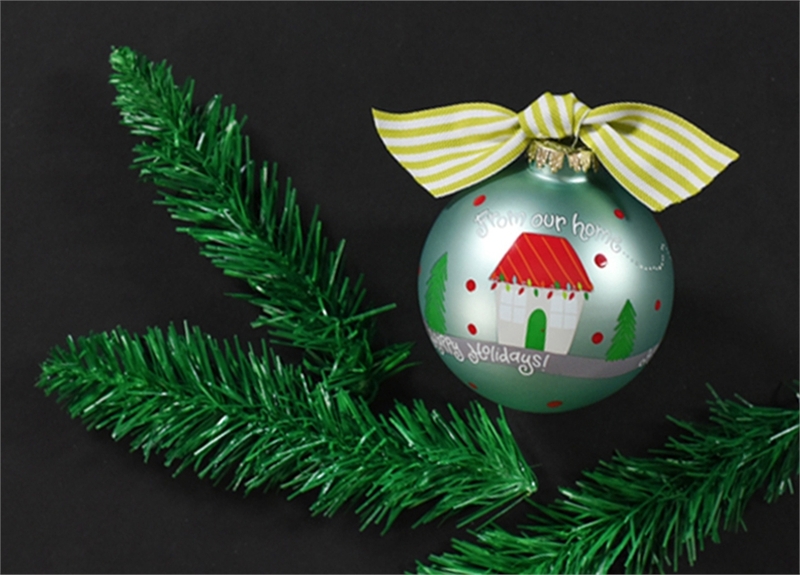 Spread some holiday joy with our bright and playful From Our Home to Yours Happy Holidays Ornament. 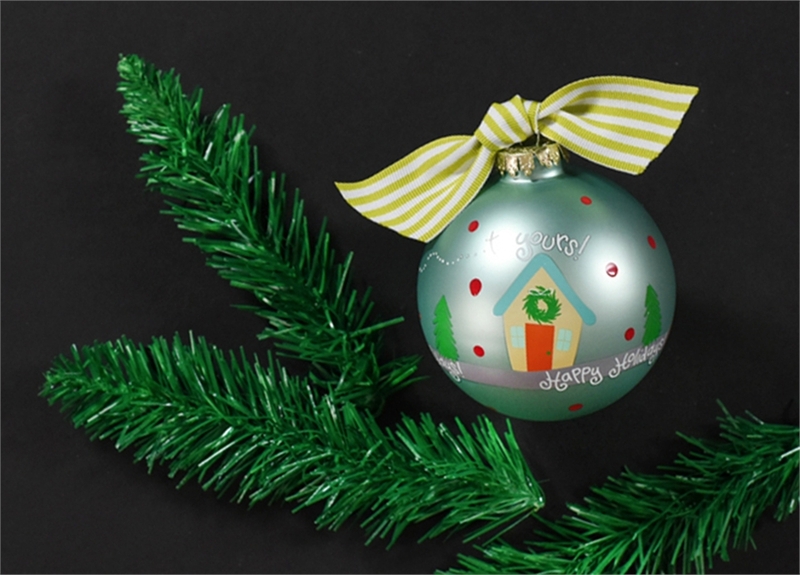 Each ornament is perfectly packaged with a matching gift box and coordinating tied ribbon for easy gift giving and safe storage. Care Instructions: FRAGILE – Handle with care. Store in cool, dry location.. Each ornament is perfectly packaged with a matching gift box and coordinating tied ribbon for easy gift giving and safe storage.